Rudy had his stitches removed yesterday and he is A-okay! Oh Rudy, get better fast! We have that saying on a floor mat. Glad Rudy is doing well. The dreaded cone. Hope you don't need it now that your stitches are out. 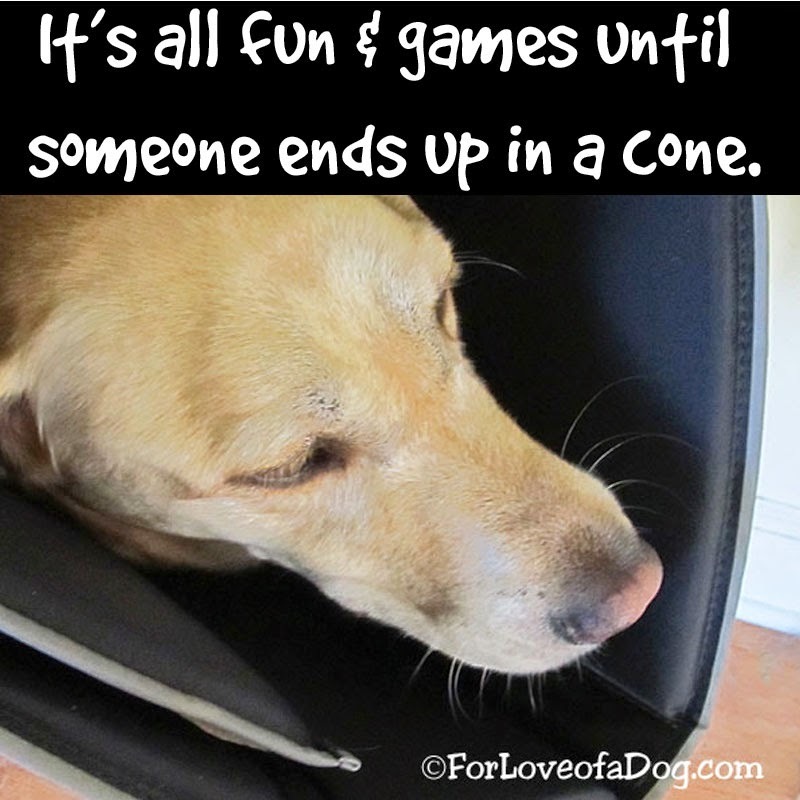 At least you have a comfy cone? Our last cones were plastic and Leo chewed through them pretty well. Hope we won't be needing one again for a while! Oh noooooo not the cone. Hope you're not too uncomfortable and the healing is fast. Oh No , why are you in a cone! We're SO happy for Rudy!! So handsome, glad the stitches are out and Rudy is doing great.